Film Restoration has become one of the major concerns of libraries, museums and production companies, since the ageing of the film reduces its quality and sometimes degrades it completely. Digital Intermediate technology can provide the vital process for the restoration of analogue to digital, and back to analogue if needed. Digitizing a movie is the best way to enhance the current state of a film. The movie is digitally scanned into a single master file and then all the necessary digital restoration technology is employed. The restored film is then recorded onto film or digital video or any future formats including internet and video on demand offerings. This Film Restoration process, with PF Clean, brings back the quality of the original images from the past, eliminating film scratches, dust busting, film dirt, tears e.t.c. PFClean is an automatic image clean up system designed for use with scanned image data prior to the VFX and DI process, or for the restoration of achieved film. At Graal we follow a customized workflow tailored for fast and efficient processes. The process begins at the lab where the negatives are cleaned, and continues at Graal with the Film scanning and everything else needed for a perfect restoration. Using high end equipment, like Northlight2 film scanner, Clipster 4K, Celco Film recorder, etc. we are able to obtain and maintain the maximum possible quality from end to end. Our centralized high bandwidth storage (BRIGHT SAN), along with our automated IBM Tape Library, ensures flexibility as well as fast and secure handling of the material at every point. We are able to deliver material to standard or high resolution and almost any format from DCP Master, HDCam SR to MiniDV, or encode it for use over the Internet. For archiving purposes an LTO-based Tape Library is used. CELCO’s technology allows for the ultimate in reliability, image quality, stability, flexibility, and ease of use. Graal owns a Celco “Firestorm” Film Recorder which can record digital images to almost any film stock either negative or intermediate and to resolutions up to 8K. The company has already calibrated the Film Recorder and most of the film stocks (Kodak and Fuji) with FilmLight’s TrueLight as well as with all major printing laboratories in Greece. HDCAM SR, introduced in 2003, is capable of recording in 10 bits 4:2:2 or 4:4:4 RGB with a bitrate of 440 Mbit/s. The increased bitrate (over HDCAM) allows HDCAM SR to capture much more of the full bandwidth of the HDSDI signal (1920×1080), making it the ideal High Definition Master. Graal is capable of producing High Definition copies to the following formats: HDCam, HDV. The Digital Betacam format records component video signal at 10-bit YUV 4:2:2 sampling in PAL resolutions plus four channels of uncompressed audio. Digital Betacam is one of the de facto digital video cassette formats for broadcast use. Graal is capable of producing Standard Definition copies to any of the following formats: Betacam SP, DVCPro (25/50), DVCam, MiniDV. Linear Tape-Open (or LTO) is a leading magnetic tape data storage technology. The technology was developed and initiated by Seagate, Hewlett-Packard, and IBM and goes by the name "Ultrium". Ultrium-3 and Ultrium-4 give Graal the ability to store up to 800 GB of data to a single tape making it the ideal solution for Backing Up each project. 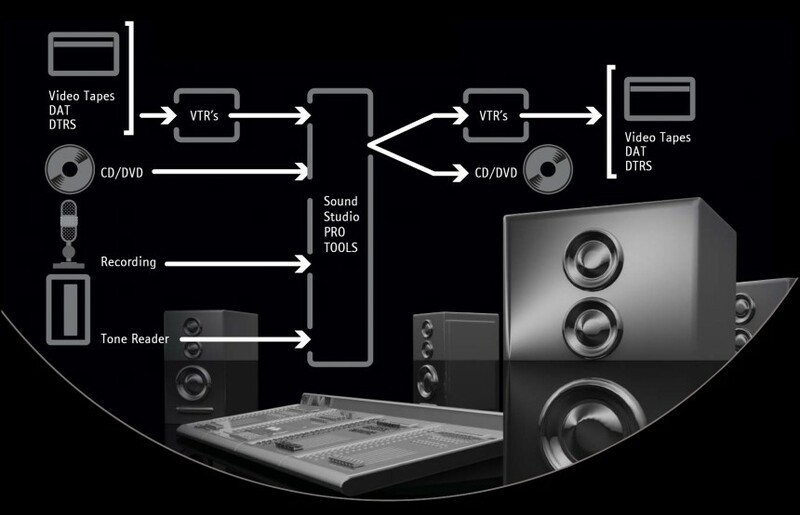 Streaming media refers to the media that are distributed over telecommunications networks. Graal uses H.264 (MPEG4-AVC) as well as MPEG2 for encoding material to resolutions up to High Definition. Blu-ray Disc and HD-DVD are the future high-density optical disc formats for the storage of digital information, including high-definition video. Graal through the well organized DVD authoring department can cope with all the available formats using either Standard or High Definition material. Digital Cinema is the use of digital technology to distribute and project motion pictures. A movie can be distributed via hard drives, optical disks, or satellites using a digital projector instead of a conventional film projector. To match or improve the theatre experience for movie audiences, a digital cinema system must provide high-quality image and sound. Additionally, theater managers require server controls for managing and displaying content in multiple theatres. Studios need their content encrypted with secure delivery, playback, and reporting of play times to the distribution company. One of the added benefits of digital cinema for exhibitors is the ability to show ‘Alternative Content’. This means screening anything from live concerts, operas, and sports events in a cinema. Graal is in the position to supply this accompanying service for the final projection of feature movies in theatres, with digital support projection, digital cinema players and the high-standards required for digital cinema projection. With continuous investments in technological expertise and equipment, we can now service all digital cinema platforms and meet the international standards by providing complete digital cinema solutions with up to 4K projection. NORTHLIGHT 2 scanning up to 8k with IR and TRRUELIUGHT 3D LUT colour management playback system connected to 6TB internal storage and BRIGHTDRIVE network storage. Celco’s FIRESTORM, Film Recording from all Digital Media and Videotape Formats driven from an SGI Fuel workstation. PF CLEAN SYSTEM by Pixel Farm for VFX and DI process or restoration work with 5 TB Internal storage and BRIGHTDRIVE network storage. PF CLEAN running on a Dual Quad core MAC PRO with 2 TB internal storage and BRIGHTDRIVE network storage. BASELIGHT TWO, resolution independent with 9 TB internal storage, up to 2k real time connected to BRIGHTDRIVE network storage. TRUELIGHT 3D LUT colour management and playback system, on a SONY 4K SRX projection room in a 20 foot screen. AVID DS v8.4 4:4:4 HD with the most usable plug-ins, SAPFIRE AVX, ANVIL, KEYLIGHT, TINDER, connected to 4TB local fibre storage and BRIGHTDRIVE network storage. TRUELIGHT 3d LUT colour management and playback system, monitoring through SONY BVM D24E1 and on a DCI 2K projector in a 12 foot screen. Apple FINAL CUT PRO Suite with plenty of plug-ins, on a 8 Core MAC PRO System with AJA 2k I/O, 2TB internal storage connected to BRIGHTDRIVE network storage and SONY BVM L230 monitoring. DVS CLIPSTER 4K with CINE4K provides online editing of film data, conversion to various output formats, colour correction and scaling that can handle any level of resolution – SD, HD, 2K and 4K. With 8TB internal storage plus connection to BRIGHTSDRIVE network storage. TANGENT devices control panel, monitor SONY BVM L230. AVID DS RP v8.4 RP with the most usable plug-ins, SAPFIRE AVX, ANVIL, KEYLIGHT, TINDE, connected to 4TB local fibre storage and BRIGHTDRIVE network storage. DIGITAL FUSION Compositing Suite, with SPEEDSIX SAPFIRE and TINDER plug-ins. AVID DS RP with most usable plug-ins SAPFIRE AVX + RP, ANVIL + RP, KEYLIGHT + RP, TINDER on a HP Dual Core Athlon System and 2 TB Storage. DIGITAL FUSION Compositing Suite, with SPEEDSIX, SAPFIRE and TINDER plug-ins. AVID DS RP with most usable plug-ins SAPFIRE AVX + RP, ANVIL + RP, KEYLIGHT + R, TINDER on a HP Dual Core intel system and 2 TB Storage. Apple’s SHAKE Compositing Suite, on a 2x Quad core Mac System with 2TB internal storage and BRIGHTDRIVE network storage. Autodesk’s MAYA 2008, on a 2x Quad core Mac System with 2TB Internal Storage. Autodesk’s MAYA 7 on a 2x core HP System with 1 TB Storage. BOX Systems Rendering Farm with 20 processors available to speed up the rendering process. Monitoring: SONY BVM series Monitor or ikegame. 40” Plasma screen in every room. Central Control VTR room with operator assist and intercom. 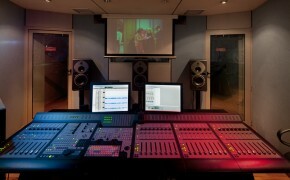 PRO TOOLS HD, 5.1 mixing suite for film, television, DVD and/or any media. Sound Booth for voice Over, ADR or Foley. MWA-MB51 optical sound files reader, for preservation and transfer of Archive (also damaged) Magnetic material, or where quality control of Analogue/Digital Optical soundtracks is necessary. PRO TOOLS LE for capturing film based optical sound. Bright Systems BrightDrive is a shareable media (fiber based data storage) device directly connectable and interoperable with all platforms for incredibly productive digital pipelines – workflows – for VFX, DI, dailies, and tapeless editorial. With 60 TB Online and sharable storage Graal can handle any project in the most efficient way. Avid Unity 8TB of fiber channel Dynamic shared – media environment with realtime HD and SD collaboration, designed specifically for storing and sharing high bandwidth, high resolution media. IBM Storage TS 3500 automated library system with 240 Slots (3360 TB) enabled storage and three LTO 4 drives for daily backup and archiving of the storage. HP LTO3 drive for archiving of small projects. Central Control VTR room with operator assist, routed through HARIS systems Integrator HD router. The sound studio is equipped with the latest in audio technology offering sound engineering, editing, sound/music design, 5.1 premixing, stereo mixing, composition/arrangement of original music for commercials and original soundtracks for feature films or theatrical performances. It features an audio recording booth with Neumann microphones 5.1 Dynaudio AIR 20 Digital monitoring. It is based on Digidesign’s Pro tools HD Accel3 system and offers seamless Unity connectivity. Additional capabilities are provided by hardware from TC Electronics, Avalon, Neve, Cedar, Kurzweil and a host of software plug-ins like Waves Platinum, IR and Restoration Focusrite Forte Suite, Sonic Solutions NoNoice, etc. Our studio has access to over 120Gbytes of SFX available on a server-based network. This efficient system reduces search time and increases the sound designer’s creative options. Our prime Mixing studio facility features all digital mixing environments which are capable of handling any format from stereo broadcast mixing to Dolby Premix 5.1 mastering. Protools HD Accel3 on a Pc or Mac environment having two different platforms provides us with the flexibility of handling different projects Procontrol & Editpack while it has more than 64 channels. Automated Dialogue Replacement (ADR) and Voice over Recording (VO) can be performed in our studio, providing high flexibility and convenience for producers, directors and actors. ERT Digital (PRISMA +) has entrusted Graal’s technical excellence and high-tech studio for an “Audio Description” project accommodating the optical disabled audience. To accomplish such a significant task, Graal has cooperated with ECI (European Captioning Institute). Digital Intermediate is a groundbreaking development in filmmaking, which enhances the aesthetic results and cuts down the costs. The DI process has the advantages of the digital video production of speed and adaptability though maintaining the highest standard of quality and film resolution. The DI replaces the photochemical process with a digital master, evading in this way quality loss accumulating over multiple runs of the original negative. Colour grading, titles, and visual effects(SFX) can be previewed in real-time and promptly modified instead of using work prints, saving both time and money. The final digital images can be output to film, SD, HD or any video format in various resolutions, frame-rates and aspect ratios. Film to Digital is one of the most exciting forms of content delivery to emerge from the film and television communities in recent years. It has democratised filmmaking by lowering production costs, enabling producers, directors and cinematographers to obtain control over the qualities of the film, and by enhancing the cinema experience by allowing producers to deliver multiples of high quality film prints. The Film to Digital department at Graal, Athens produces 35mm & 16mm motion picture film negative with brilliant contrast range at varying resolutions, creating stunning imagery from any input resolution. Northlight is a high-quality pin registered and pinless digital film mastering scanner. Unlike telecine based machines that have been adapted for scanning, Northlight was engineered specifically for the exceptional demands of digital film mastering, providing image quality surpassing that of traditional pin registered film scanners used in special effects post production. The Northlight 2 matches – and surpasses – the requirements of the feature film industry as it embraces 4K workflow and digital cinema projection. Northlight 2 delivers up to six times the scanning speed of Northlight 1, with an internal resolution of 8K. 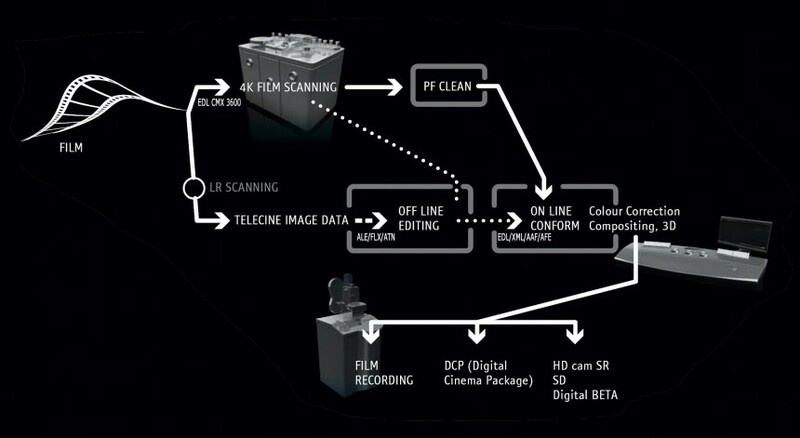 PFClean is a fast and flexible automatic image clean up system designed for use with scanned image data prior to the commencement of the VFX and DI process, or for the restoration of achieved film and video. PFClean operates flexibly in an ever changing and complex DI environment, working either as manual, or fully automatic, hybrid system. The user is able to define frames and the type of anomalies to be fixed in a non destructive environment. PFClean features a comprehensive set of resolution independent, non destructive tools to clean up and restore images. Baselight is a resolution independent grading and finishing system for film and video, providing real-time operation at resolutions of up to 2K, ensuring accurate emulation of the deliverable on the grading display. It utilises centralised grade database architecture, supporting enterprise-wide collaborative working. Baselight offers unrivalled flexibility and an opportunity to expand creativity through the use of unlimited primary and secondary grades, as well as multiple soft-edged spline shapes. Bespoke film output characterisation ensures that the digital image represents the actual final print, and not just an idealised film "look". Resolution independence enables formats to be freely mixed within a single scene or job, and multiple deliverables can be rendered from the same timeline. The flexible and intuitive user interface provides trackball, jog wheel and gestural controls as standard, supports real-time playback up to 2K although capable of working with higher resolutions like 4K, while, equipped with a dual link HD-SDI card, it is able to support HD 4:4:4 RGB, ingest and output. The Avid DS Nitris system offers multi-stream, 10-bit uncompressed HD, Avid DNxHD, and SD finishing and mastering as well as HD-RGB and 2K/4K file-based editing with real-time playback up to 2K. It combines advanced creative and finishing software with high-performance Avid Nitris Digital Nonlinear Accelerator hardware for guaranteed real-time editing and effects. With the resolution-independent Avid DS Nitris system we can create, edit, and master TV programs, films, and commercials-even theatrical releases. Our special DS suite, equipped with a full HD monitor and a DCI approved projector is an ideal station for creating both TV and theatrical deliverables. FCP2 is a platform with open standards that encourage innovation, giving developers and partners the freedom to create custom solutions. With XML to share project data and QuickTime to seamlessly move media between systems, Final Cut Studio 2 can fit into virtually any production pipeline or newsroom. The FCP2 is installed on the most powerful 8core Mac pro which is equipped with a dual link HD-SDI AJA, connected to a high bandwidth network (Bright System’s online) making it a perfect solution for CG digital FX, or colour grading. 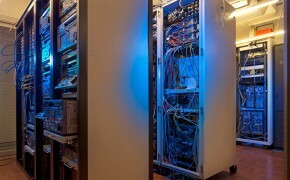 Advanced compositing and 3d programmes like Shake, Fusion 5,2 and Maya 2008, are seamlessly connected with the online stations, making the exchange of sequences very easy, regardless of the resolution or format. Handled by a team of experienced compositors and 3D Artists, Graal is able to apply any kind of digital FX or CG. The DI Theatre is all about making space part of the filmmaking workflow. It is the preview and the testing site where all incoming components of the film process fall into place. Graal created such a site equipped with Sony’s SRX-R105CE, which is able to project a full 4K resolution while meeting the DCI criteria. The theatrical size screen, the quality of the image projected, along with the calibrated signal provided by the Truelight, and the excellent colour correction potentials provided by the Baselight, make our D.I. theatre ideal for colour grading, since the result is now closer to the final outcome. The SRX-R105CE is Sony's large-venue projectors, tailored with stunning features and picture performance to address the quality-critical demands in Digital Cinema applications and other large-venue systems. Combining the highest-resolution "4K" SXRD imaging device with contrast ratio of 1800:1, the SRX-R105CE achieve high-quality images with rich and precise colour tonal reproduction. 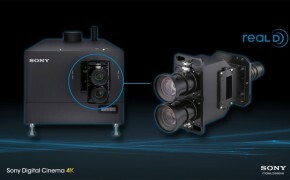 The SXRD 4K projector have a native resolution of 4096 x 2160 pixels to offer the highest resolution on the market. Input cards enable the projector to accept native 4K (4096 x 2160) signals as well as DCI 2K (2048 X 1080) and HD (1920 x 1080) signals which it internally up-converts to display at 4K, while the dual link HD-SDI input allows for either a 4:4:4 or 4:2:2 workflow. Truelight is the world’s only complete film colour management system for pre-visualising film images on electronic display devices, working equally well with digital projectors and computer monitors. It allows artists, colourists, supervisors, cinematographers and directors to check the final film look at any point in the digital post production process, reducing film-outs, while saving matching, rework, time and effort. The process involved in transferring video to film has been dramatically simplified by new technologies and the accessibility of High Definition Data as an intermediate. 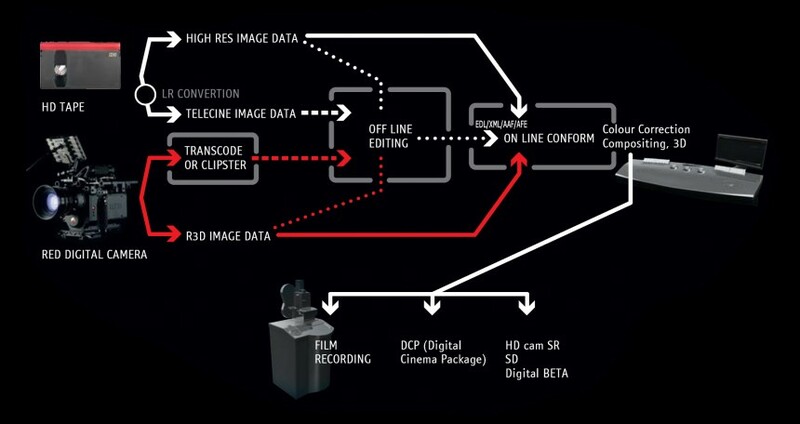 The use of 24p or HD data – as the step prior to recording film – offers the ability to preview, in real-time, the closest representation to the final film. Working with 24p formats ensures the transition from the highly controlled digitised environment to the volatile film with the best possible accuracy. Shake is the industry standard for high-end compositing and special effects. It is resolution independent, and works at any colour depth (8, 16 and 32 bits) mainly used for high res films work with full access to Xserve RAID and the Mac render farm. Additional equipment: 30’’ Cinema Display monitor, Aja Kona2 Dual Link HD video Card, Decklink HDLink SDI-DVI interface 23’’ Cinema Display video monitor, Wacom tablet, dynaudio Air speakers. Algolith. Algolith plugins embedded in Shake can give format conversion solutions including advanced de-interlacing, resizing, frame rate conversion, anti-aliasing, noise reduction and more.